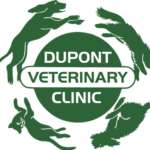 Dupont Veterinary Clinic can arrange a specialist visit at our hospital for your convenience! We utilize MiVU, a mobile veterinary ultrasound service led by Connie Shang, DVM. Dr. Shang is enormously talented and reliable as both a clinician and a sonographer. She is humble, trustworthy, hard-working, and reliable. She puts tremendous effort into her case workups and brings with her a rich foundation of Internal medicine knowledge and sonographic expertise.